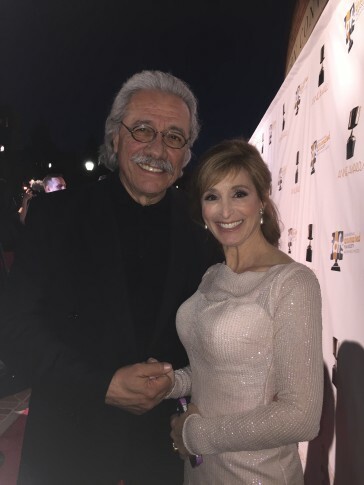 Edward James Olmos is a great guy. So sweet. All he could talk about was his co presenter that night, Rita Moreno. “She is an EGOT! She has won an Emmy, Grammy, Oscar and a Tony!” I feel so lucky to have met him, and actually to have had time to chat under the lights and cameras. It was the start of an amazing night at The Annie Awards! No Comments on "Olmos on the Red Carpet"